I am from an all girl family. I have two younger sisters, but no brothers. When we found out our first child was a girl, I was excited and, to be honest, rather relieved. Because what would I do with a boy? Being a mom to a little girl came pretty naturally. But then…oh, but then…I was about 85% sure about two months into my second pregnancy that I was having a boy. There were none of those signs you hear about like carrying the baby lower or higher or being sicker than last time or anything at all. The pregnancies were pretty much the same (speaking of weird signs, that one about heartburn being related to babies who have lots of hair? It’s bogus. Both my babies had dark, thick, brown hair, and I had no heartburn whatsoever. I just had to let all two of you who care know that.). But I was pretty sure I was having a boy. When the ultrasound confirmed it, I was very excited, but I was also a little apprehensive. How do I raise a little boy? And what’s even more daunting, what do I read to a little boy? Just kidding, there are many parts of parenting a boy that make me feel more nervous than what books to read him. But it is something I had to figure out! 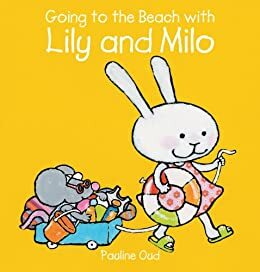 So I thought I’d share what I’ve discovered so far as I read books to my son, Isaac, and watch his love of reading grow. As a side note, my daughter really enjoys most of these books, too. Little girls like trucks! It was a revelation to me. 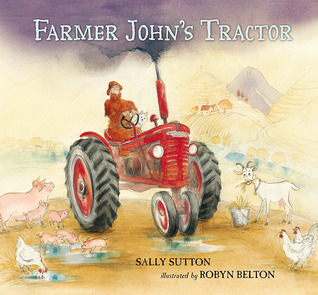 I’ll be honest, I may love Farmer John’s Tractor by Sally Sutton more than my children do. It gives me a nostalgic feeling, and I don’t know why because it’s based in New Zealand and I have definitely never been there. Maybe it’s from watching all of those All Creatures Great and Small episodes with my parents when I was little that are set on Yorkshire sheep farms. Whatever the reason for my nostalgia, my kids really do love it, too. 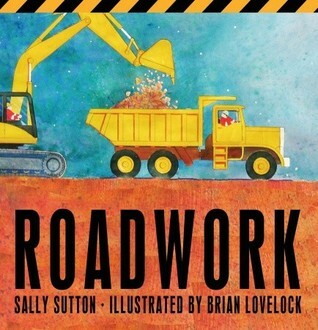 Read it on a rainy day and let your kids go out and splash in puddles on their bikes afterwards. My friend recommended My Truck is Stuck to me because her two-year-old boy loved it (thanks, Jessica!). I don’t think I would have picked it up otherwise because I always gravitate more to books about people than animals (“How sad!,” some of you are thinking. It’s not a conscious decision, it’s just how I judge book covers, for some reason), but she was right, Isaac definitely loved it. In fact, we often say, “Can’t go! my truck is stuck!” when we’re playing with trucks. It’s a fun book. We read this book all the time. It’s one of those books that we got from the library and then bought as soon as we saw it in a store. 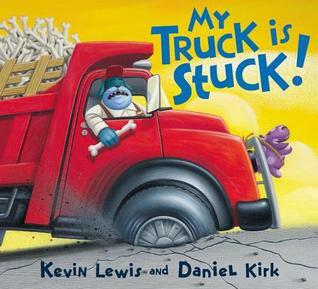 Not only is the book beautiful and the story fun, but it teaches a great lesson about being kind to people (or trucks?) who haven’t been kind to you. It’s a keeper. The sequel, Little Blue Truck Leads the Way, has not been quite such a hit with our son, but we’ve only read it once since we got it from the library on Monday, so it may become a late blooming favorite. We’ll see. The Bravest Knight is an awesome book for boys. I really do want my son to think about being brave and chivalrous and all that. This story kind of puts a funny twist on the knight idea, though. My son is always laughing at the cat in the book. I think he may be a little young to really appreciate the story, but he sure does love it. I’ve only scratched the surface of books I’ve discovered that my little boy loves. And I’m still discovering more. I may have to write a part two very soon. Please let me know which books the little boys you know love, too! – Frog and the Fly by Jeff Mack, funny but short demonstrations of the frog and fly’s relationship that will make your little boy laugh so hard. – Chewy Louie by Howie Schneider, uproariously funny story about a puppy who as an uncontrollable chewing habit. – How do Dinasaurs Say Goodnight by Jane Yolen, a good bedtime story for a little boy to relate to. – The Great Fuzz Frenzy by Janet Stevens, a book that must be read while holding with a tennis ball. Teaches how too much if a good thing can be bad using prairie dogs as characters. – Froggy Gets Dressed by Jonathan London, predictable repetition book with a funny twist at the end. – The Little Old Lady Who Was Not Afraid of Anything by Linda Williams, an excellent Halloween themed story that’s just spooky enough for a toddler. – An Evening At Alfies by Shirley Hughes, has interesting reference to Noah’s Ark and the flood as Alfie experiences a taste of it in his own home. – No Jumping on the Bed by Ted Arnold, a wonderful, funny story to convince a kid why Mom and Dad have this rule. – The Gunniwolf, by Wilhelmina Harper, a muted version of Red Riding Hood that’s more appropriate for a toddler with a British flavor. My daughter enjoys the song phrases throughout the book. I can’t wait to check out your suggestions at the library! Thank you! Oh, Ella especially likes Mike Mulligan and all other Virginia Lee Burton books! Our favorite is The Little House. I’ll have to check your other suggestions out. Thanks!